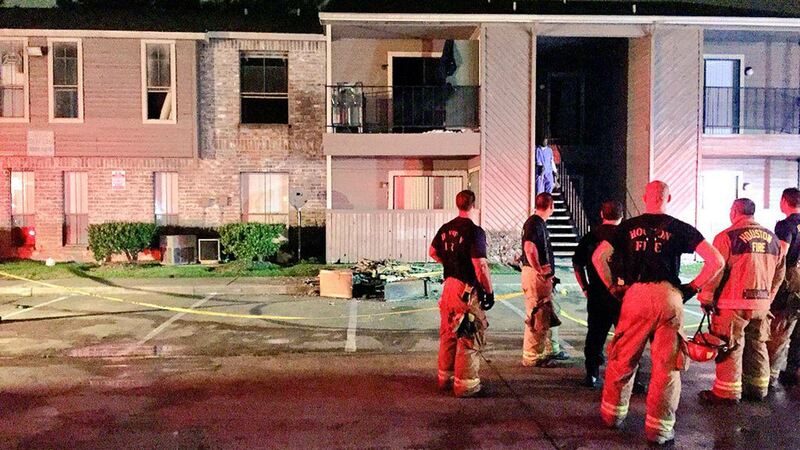 HOUSTON (KTRK) -- A fire at a southwest Houston apartment complex sent residents running for safety. The blaze started just after 5:00am at the Rainy Meadows apartment complex on Bob White Drive and Fairmont Drive in an upstairs unit. Firefighters called it an accidental kitchen fire, saying the resident left something on the stove and oil sparked the flames. Jodie Parks lives right next to the unit damaged. She said she woke up to loud banging on her front door. "I was just dead asleep, and all I heard was boom boom boom, and I got up, opened the door and it was the fire department," Parks said. "They came in. They told me to get out because it was a fire. I was thinking I was gonna die." In all, one apartment was destroyed and no injuries to report according to HFD.